Sanur is the main gateway to visit Nusa Lembongan and Nusa Penida. 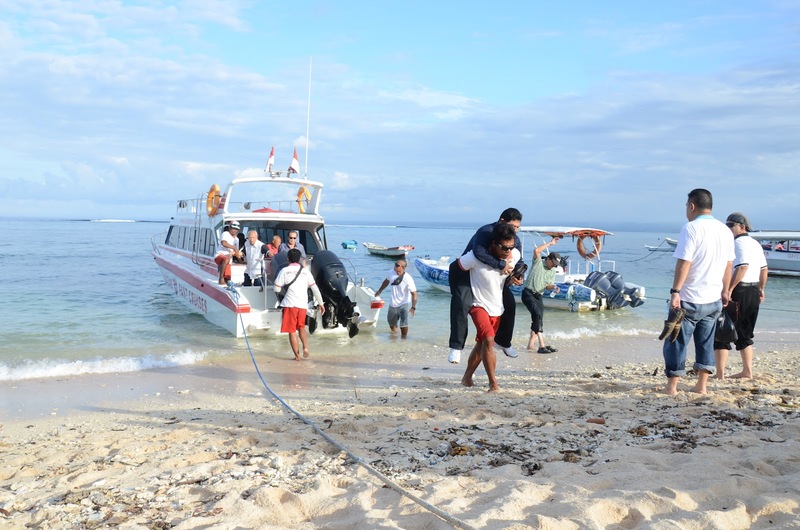 The ship will stop and depart from Jungkut Batu, which is one of two major villages on Nusa Lembongan. Jungkut Batu is home to most of the accommodation, restaurants, and other travel gear. The main alternative that you can use to visit Nusa Lembongan, including the use of a fast boat, but there you can also use the local boat service. If you use a fast boat service, there are two main fast boat services between Bali (Sanur) with Nusa Lembongan are Scoot and Rocky. Scott not only operates to Nusa Lembongan but can go directly to the Gili islands. This port is opened from 08.00 to the local boat with a long journey around 1 – 1,5, whereas if you use a fast boat service, the time it takes just 30 minutes with adequate facilities and services.